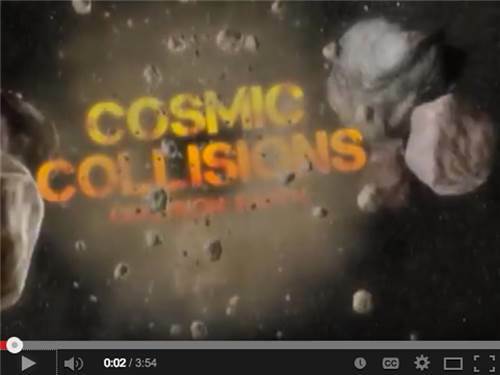 Visit the best preserved meteor crater impact site on earth! 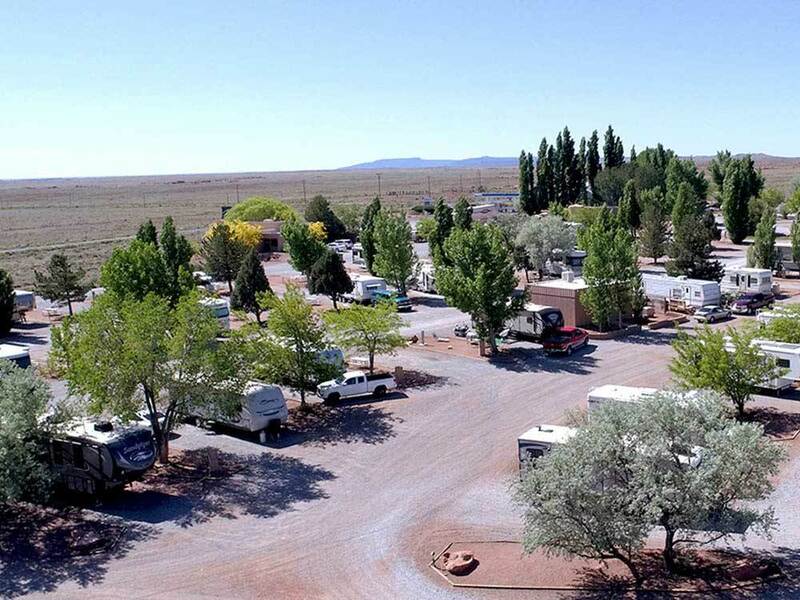 RV park guests receive coupons for Meteor Crater admission, plus coupons for food and other area attractions. A great location for overnight or exploring the area. We stayed here 3 nights in March 2019. The sites are all pull through and very wide. They are gravel and level. There are 2 laundry rooms and one is in the main building with a lounge and large tv to watch while doing laundry. The price for the machines is $1.75. Very reasonable. The staff is friendly. This is a gated RV park so we felt very safe here. The meteor crater is only 5 miles away. The restrooms are clean and the showers are completely private with shower, toilet and sink. The only 4 star was for appeal because it is in the desert. Winslow is only 20 miles away. We will stay here again if in the area. This is an outstanding facility and is the first one I've rated with 5 stars across the board. The location is far enough off I-40 that traffic noise is nearly non-existant (although at night the trains another half mile away can be heard). The park itself is clean, neat and well organized. Surprisingly, there are shade trees next to many of the spaces. We were given a near-perfectly level pull-thru space for our travel trailer. The gravel base is firm and hook-ups are modern and well located. The staff is efficient, friendly and helpful. The camp store is well stocked, even with some essential RV accessories. The facility has a nice day-room with big-screen TV where you can rest while your laundry is washing in the adjacent room. The restrooms/showers are modern, clean and spacious. The only negative I can think of would be the location at nearly 20 miles west of the town of Winslow, but then again, that may be intentional on their part. In my view, this is about as good as an RV park can get and at a reasonable price to boot. Kudos to all in this organization! Very easy location off I-40. This rv park is exceptionally well maintained. Staff was excellent. Very clean. We had a reservation - check in was fast. Spot was long & wide (44ft MH + tow) - did not have to unhook. Individual spots well marked. Large staging area to park while checking in. Only down side was gravel. Site says it's 20 miles east of Winslow - it's 20 miles west of Winslow! We will definitely stay here when in the area & have already recommended it to other travelers. Very nice, clean and friendly managed RV park. We only stayed there 2 nights. They have a clean off-leash area for dogs. The sites were clean and spaced well in-between rigs. It's great for an over-night stay. I didn't go in the restrooms because we're self contained. One of the nicest RV Parks I've been to. Well maintained and clean. Staff was awesome. Very convenient to sightseeing. Nice park, gravel but level. Well maintained, grounds and facalities. Extremely clean all around, staff very helpful and friendly, would definitely stay here again..
Park is well maintained. Restrooms are clean and kept up. Nice shaded sites. Very dusty but the management tried to keep dust down by spraying water on roads. Very close to Meteor Crater and easy drive to stand on the corner in Winslow, AZ. Would stay here again. We really enjoyed this campground. While the office/convenience store are well-worn, once you go through he gates to the actual campground it's a lovely place. Sites are good sized with everything working. The staff is wonderful and it's worth noting how helpful they were in giving information about the area and accessibility. Meteor Crater is about 5 minutes away and worth seeing - you get a $2 discount to the crater when you stay at the campground; also get a small discount on gas. Used the restroom in the store which was clean but unremarkable. There's a lounge area for RV guests which was empty when we walked through. If we are ever back in this area we would definitely stay here again. This is a VERY nice place to stay. We were headed west & it was time to stop for the night. Restrooms were clean the sites didn't have you crammed together. Would definitely recommend if you need a place to stay. I loved looking at the stars. This is a well-run, attractive park. Bathrooms are extremely clean and nice! My problem is that they say that the majority of their sites are full hook-ups, when the reality is they have 16 full hook-ups and the rest are electric & water only. They have two laundry sites, only one of which has working washers. The dryers cost $1.75 for a 40 minute cycle, that didn't manage to dry a half-full load. You are very isolated here, restaurants & a grocery are 20 miles down the road. Since the park has security gates, I did feel very safe here. we liked it here, nice people, well kept, everything we need. This is like a little Oasis in the desert ?? we stayed the 1st week and loved the quietness and cleanliness of the park It is also close to a lot of adventuress travels around. We chose to come back and stay for 2 more weeks before traveling on to NewMexico. They have the cleanest facility and the most friendly help. We will definitely go back soon. Great park! The staff is helpful and courteous. The grounds have security gates. They have level pads with a picnic table and a tree on every site. Restrooms with private mini rooms include toilet, sink, and shower. The location is good to travel to nearby attractions: Winslow, Arizona, Petrified Forest, Painted Desert, and Meteor Crater. Awesome friendly people! We were arriving close to their closing time, and they patiently waited on us. Sites were gravel, but were very level - had LOTS of trees and a beautiful morning sunrise view! They offered coupons for gas at their store and for the meteor crater. I HIGHLY recommend this place! Overnight stay for me. Park is clean, spacious, convenient to freeway. Only complaint is that it's 20 miles from Winslow, which considering Winslow is probably not that much of a complaint. I would stay here again. Just stayed one night. Price was right. Bathrooms/showers were immaculate. Really impressed us. We liked the way the staff assigned sites with unoccupied sites in between campers. Yes you can hear the I-40 traffic but it was expected. Highly recommend this RV site. On a clear night, you have a beautiful star filled view of the sky. An excellent location. Probably most beneficial for those traveling along I40 but it does lead to Meteor Crater only 6 miles down the road. We arrived just before 7pm and the staff was friendly and very helpful. We called ahead of time concerned we may arrive after they closed at 7pm. We were told not to worry that if we arrived late they'd make arrangements for us. Pad was mostly level, a bit high on the west side, nothing to lose sleep over. Good maps, clean facilities, all well taken care of. Only down side is the freeway, it's a bit too close and road noise was there all night. We'll DEFINATELY be here again. Easy access from freeway with gas and convenient store right there. We stayed one night and felt very secure. Gated entry into park, with after hour access, quiet and great view of sunset. Bathrooms were clean and private. I would definitely stay again. Great level and spacious gravel lots. Bathrooms/showers were in great shape. Very easy to get to from the interstate as well as easy to navigate once you arrive. Staff was extremely friendly. The gentleman who was closing the facility the night we arrived stayed a bit later than he was supposed to in order to get us checked in when rain slowed us down at Petrified Forest NP. Excellent stay and if we find ourselves in AZ again we'll most likely stay here again. Nice park for overnight stay. Friendly and helpful staff with a convenient gas station next door. Also, it is easy access on/off the freeway. Level gravel sites with trees. Well maintained park with friendly staff. Nice bathrooms with private showers. Good park security. Get discount to visit meteor crater (or visit Meteor Crater first and get discount to campground). Very nice level gravel sites with trees. Well maintained park with friendly helpful staff. Great location. This is a very nice park. Spaces are pull thru and spacious. The manager was very accommodating in getting me a space at the last minute. I plan on staying there again.